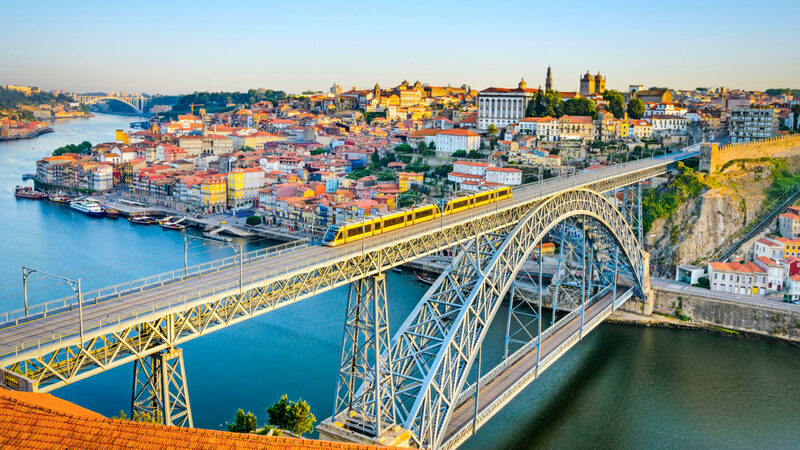 Porto is easily reachable by plane. Francisco Sá Carneiro airport is a very well connected international airport with daily flights to the major European cities and a few intercontinental direct connections. Therefore, getting to Porto is generally at most a two hops flight. Getting to the conference venue by metro is convenient, fast and cheap. There’s a direct connection by metro from the aiport to Campanhã. Then a 5 minutes trip by taxi/uber to Palácio do Freixo is recommended. The purple line (E) connects the airport to Campanhã station. A ANDANTE AZUL card is required and then charged with a Z4 title. A taxi/uber from the airport to Palácio do Freixo is 20€. To get to and from the conference venue to other parts of town the most convenient way is by taxi/uber. Downtown can be reached in a 5 to 10 minutes trip. From downtown then metro and bus are arguably the best alternatives. A nice option to get around along the Douro river, from Palácio do Freixo, Ribeira, Foz including the neighbour cities of Matosinhos and Gaia, is to rent a bike. Several rental shops can be found around the area of Ribeira.